JXTC E-Scene - attractive Joomla template from the famous studio JoomlaXTC. 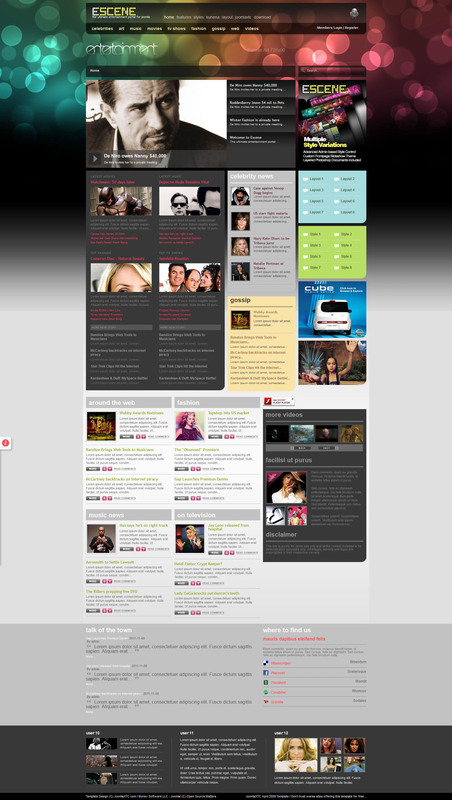 The template is intended to create sites that require a bright eye-catching design and multimedia capabilities. JXTC E-Scene has a folding modular design consisting of 24 module positions and 20 different classes of suffixes, plus the availability of flexible layout design template allows you to edit all visible elements of design layout. Template is now fully compatible with Joomla 2.5 and with all modern browsers. This template is perfect for creating thematic catalogs sites.